I was saddened in February with the news from NASA that the Opportunity Rover mission on Mars was formally concluded. What was originally supposed to be a 90-day, 1,000-meter, exploratory excursion had turned into a nearly 15-year, 28.4-mile odyssey across the surface of Mars, far beyond the expectations of anyone. 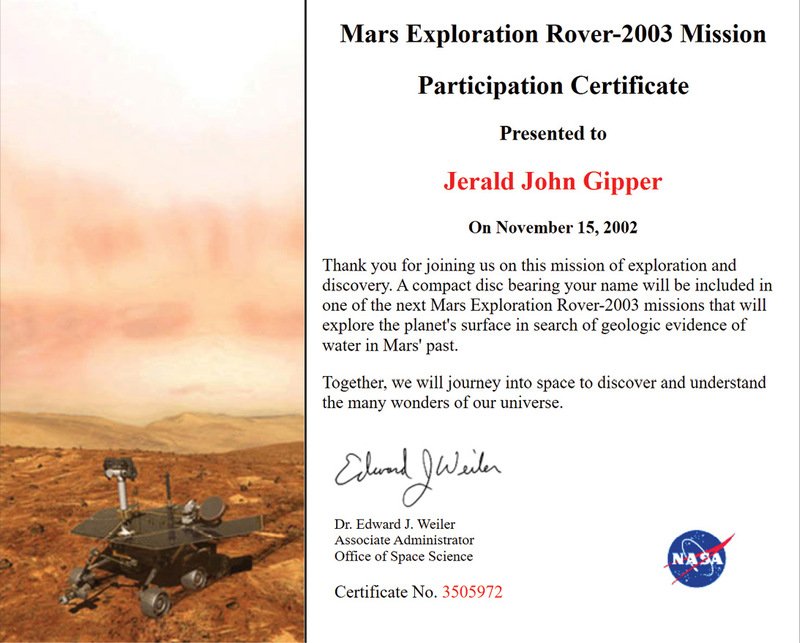 Figure 1: Mars Exploration Rover – 2003 Mission Participation Certificate. In late June of 2003, my family and I were vacationing in Iowa to visit friends and relatives. We had plans to continue to Orlando, Florida for the second part of our vacation. The Spirit rover had already launched on June 10th with the Opportunity to follow on July 1. Weather and technical issues plagued the initial launch plans, causing delays. We headed to Orlando on July 5. We did the obligatory visit to Disney World on the 6th. I wanted to visit the Kennedy Space Center on the 7th. The kids were not as excited as they thought it would be too boring. They relented with the promise that we would visit Universal Studies the following day. We did the Kennedy Space Center facility tour ending at the Apollo/Saturn V Center where we had burgers under the Apollo/Saturn V display. We spent the afternoon touring more of the facility and the Space Shuttle positioned the entrance to KSC. On our way out, we spotted a sign displaying upcoming launches. It turned out that late in the day, NASA had rescheduled the Opportunity launch for that evening. I understood that the launch would be between 10:00 pm and 11:15 pm. We decided to go to Cocoa Beach for dinner instead of heading back to our hotel in Orlando. We enjoyed a late dinner, shopped at Ron Jon’s Surf Shop, and then headed to the beach to watch the launch. From our vantage point, we had a clear view of the launch pad. There were bright lights and vapor clouds around the launch structure. The night was getting late and the kids were getting tired. As the clocked ticked past 11:00 pm, I feared the launch had been scrubbed. Just as we turned to go to the car, a bright flash of light appeared at the launch site. We could see the Delta II Heavy rocket slowly lift from the pad. Several seconds later we could hear and feel the launch. We watched in awe as the rocket headed downrange. Just after separation of the first stage, the rocket disappeared into the clouds over the Atlantic. We headed back to the hotel full of amazement from the thrill of viewing our first space launch. After a long journey to Mars, the probes landed in January 2004 at widely separated equatorial locations on Mars. 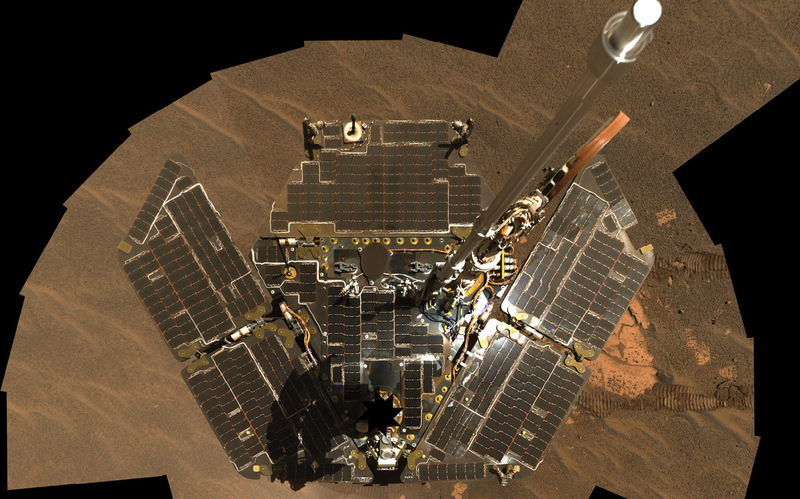 Figure 2: A self portrait of the Opportunity Rover. Opportunity used its panoramic camera to take the images combined into this mosaic view of the rover. Photo courtesy of NASA. The avionics or ‘brains’ of each rover were in the Rover Electronics Module (REM) (Figure 3) inside the rover body. These electronics controlled the rover movement and instrument deployment. The REM was housed in the Warm Electronics Box (WEB), with all the instrumentation and communications electronics, to protect from the wild ­temperature extremes on Mars. Digging deeper you find that the REM was a ruggedized VMEbus chassis. The specific slot count is difficult to pin down but from photos it appears to be six to eight slots in size. The computer in both Spirit and Opportunity was a 32-bit RAD6000 microprocessor, a radiation-hardened version of the PowerPC chip used in some models of the Macintosh computers at the time, operating at a speed of 20 million instructions per second. The RAD6000 was a direct transfer of the IBM RISC System/6000 single chip CPU to the Lockheed Martin radiation hardened process. Lockheed Martin developed a VMEbus single board computer that utilized the RAD6000 and its related memory components used in the Spirit and Opportunity rovers. Variations of the VME single board computer (SBC) were also used in the Mars Pathfinder and Surveyor rover missions prior to the Spirit and Opportunity rovers. This was the rover mission standard SBC for several years. Onboard memory included 128 MB of DRAM with error detection and correction, augmented by 256 MB of flash memory and 3 MB of EEPROM, which allowed the system to retain data even without power. The memory was designed to tolerate the extreme radiation environment from space and to safeguard against power-off cycles so the programs and data would remain and not accidentally erase when the rover hibernated during the long cold Martian nights. The remaining slots in the VME chassis were used to interface with and control the onboard cameras, batteries, tools, and experiments. The expansion slot design of VMEbus made it ideal for adding the electronics necessary to complete the mission. The cards in the VME chassis could acquire images from cameras, drive 44 motors of various types, and process data from three spectrometers. The multiprocessor architecture allowed communication, image acquisition, and operation of payload elements to proceed simultaneously. VxWorks was the real-time operating system running on the RAD6000. The Mars Exploration Rovers’ software packages were developed using Tornado 1.0.1 for Mars Exploration Rover (a special release) and debugger with updates spanning VxWorks releases from 5.1 through 5.5. The main computer performed regular rover health maintenance. Its software made sure that all systems were functioning properly and that it could continue to communicate with its Earth-bound controllers. The main software control loop essentially kept the rovers “alive” by constantly checking the rovers to ensure that they were both able to communicate throughout the surface mission and that they remained thermally stable (not too hot or too cold) at all times. It did so by periodically checking temperatures, particularly in the rover body, and responding to potential overheating conditions, recording power generation and power storage data throughout the Mars sol (a Martian day), and scheduling and preparing for communication sessions. Both rovers operated with few glitches during their mission. Memory management issues confounded Earth based engineers during the early days of Spirit’s mission, but they were corrected enabling the mission to continue. Radia­tion hits occasionally messed up memory cells, but the error correction built into the memory architecture corrected these faults. Several software upgrades during the mission added more capability and improved the rover intelligence to make them more functional. 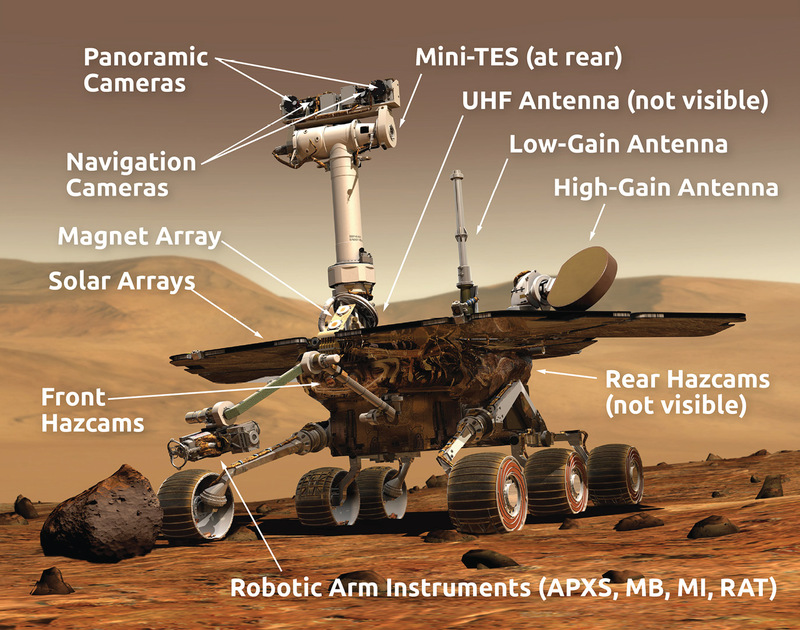 Figure 3: Mars Exploriation Rover instruments diagram. Photo courtesy of NASA. The rover’s batteries, electronics, and computer, stayed safe inside the WEB, packed inside the rover body, and like a warm coat, the WEB walls helped keep heat in when the night temperatures on Mars could drop to -96° Celsius (-140° Fahrenheit). The rovers were able to release excess heat through radiators. Preventing heat escape through a sputtered gold paint film. Keeping the rover warm through heaters, eight radioisotope heater units (RHU) which each continuously generated 1 W of thermal energy from the decay of radioisotopes, along with electrical heaters that operated only when necessary. Making sure the rovers were not too hot or cold through thermostats and heat switches. Making sure the rovers didn’t get too hot through the heat rejection system. The main source of power for each rover came from a multichannel solar array that looked almost like “wings.” Power was an extremely rare resource, so power management and consumption were foremost on the minds of the designers and mission controllers. The power system was designed so that on each day of the surface mission, solar illumination of the rover array was sufficient to allow the rover to wake up, conduct routine data sampling establishing system status, communicate for at least one hour at X-band, communicate at least twice at UHF, shut down, and survive the nighttime portion of the cycle to wake up the next day. When fully illuminated with sunlight, the rover solar arrays generated about 140 watts of power for up to four hours per sol. The rovers needed about 100 watts (equivalent to a standard light bulb in a home) to drive. Driving and conducting experiments at the same time was difficult if not impossible due to the limited power budget. The rovers would rest and work in alternating cycles to gather power for specific planned tasks. Close coordination between charging, driving, communications, and processing were required. Figure 4: Spirit and Opportunity. 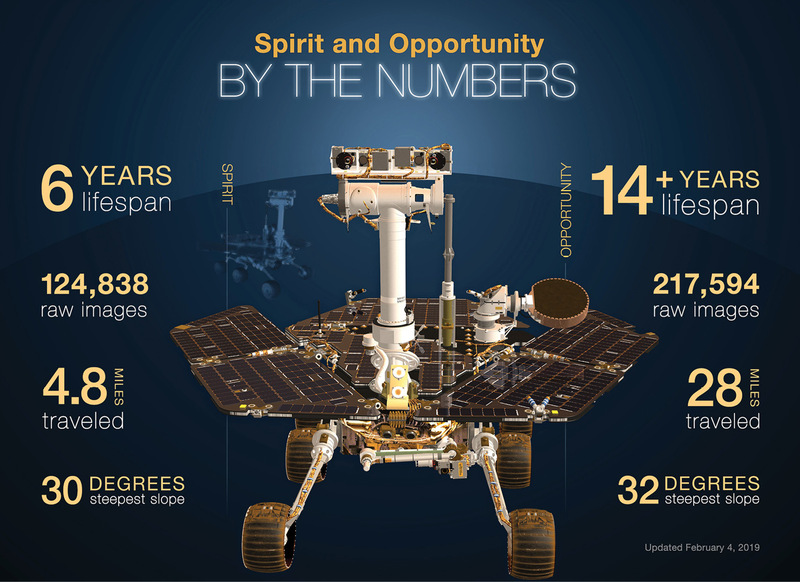 Infographic comparing the two rovers. Photo courtesy of NASA. Even though we bid farewell to the intrepid Opportunity rover in February at the conclusion of its 15-year mission, it still had one last gift to give. Last May, Opportunity took a look around Perseverance Valley on the inner slope of Endurance Crater’s western rim. The valley is about the length of two football fields and it’s full of descending shallow troughs. Ironically, Perseverance Valley became Opportunity’s final resting place when a planet-encircling dust storm took over Mars in June, blocking the sun from reaching the rover’s solar panels. Engineers lost contact on June 10 and persistently sent more than a thousand signals and commands to the rover over eight months until they realized the mission was over on February 13. 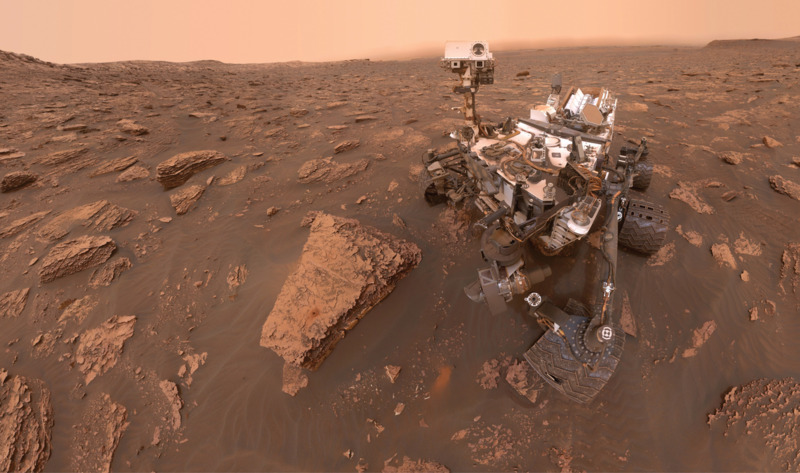 Figure 5: This 360-degree panorama is composed of 354 images taken by the Opportunity rover’s Panoramic Camera (Pancam). Photo courtesy of NASA. Then, the storm hit. Those parts of the panorama are black and white because the rover couldn’t complete the task using its filters. By-the-way, on the drive from the airport to our house at the end of our vacation, I asked the kids “What was your favorite part of the two-week vacation?” Both of them immediately exclaimed “The day at the Space Center and the rocket launch.” It still makes my heart happy!